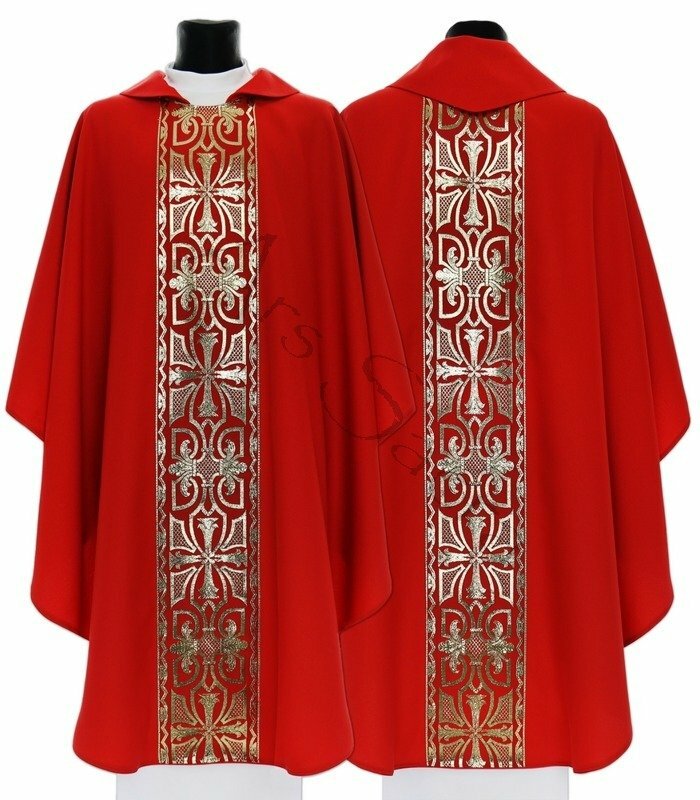 My priests enjoy your vestments very much. Parishioners agreed that the design on the center panel was very beautiful. Compliments to the designers and chasubule makers. 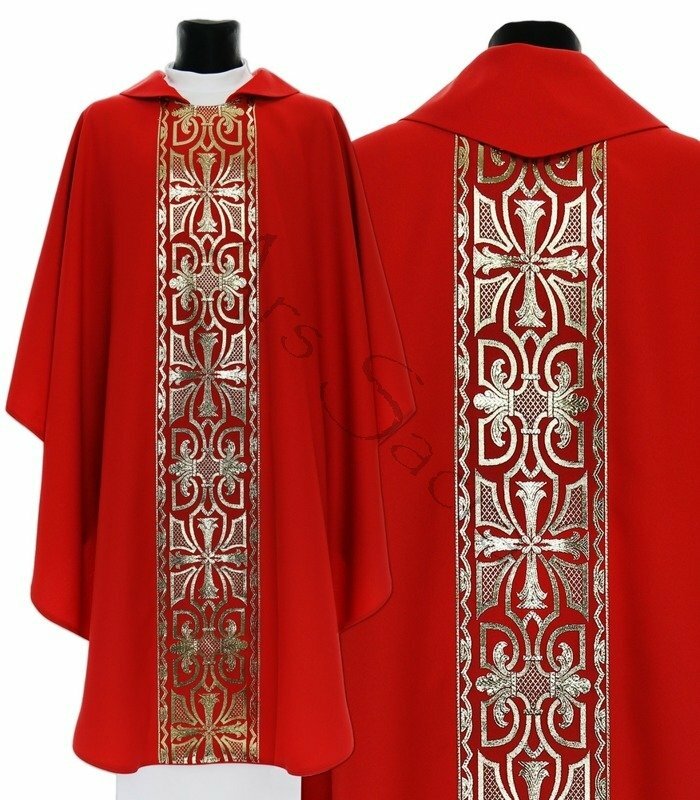 Red chasuble is very well-designed. Nice cut and attractive pattern.